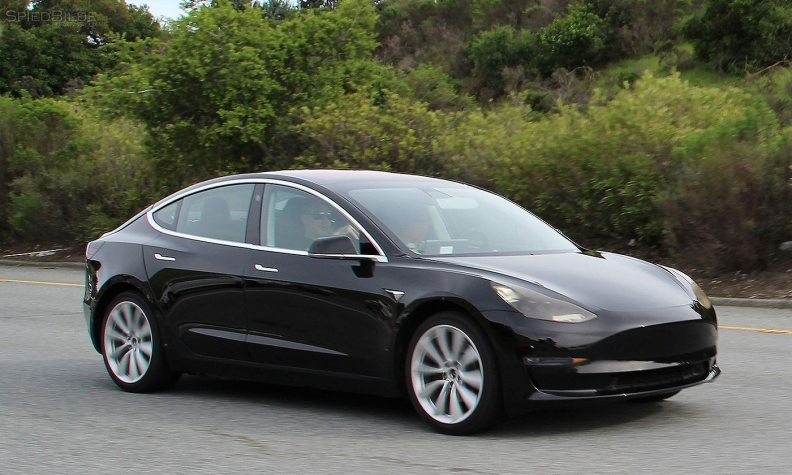 The Model 3s are coming. 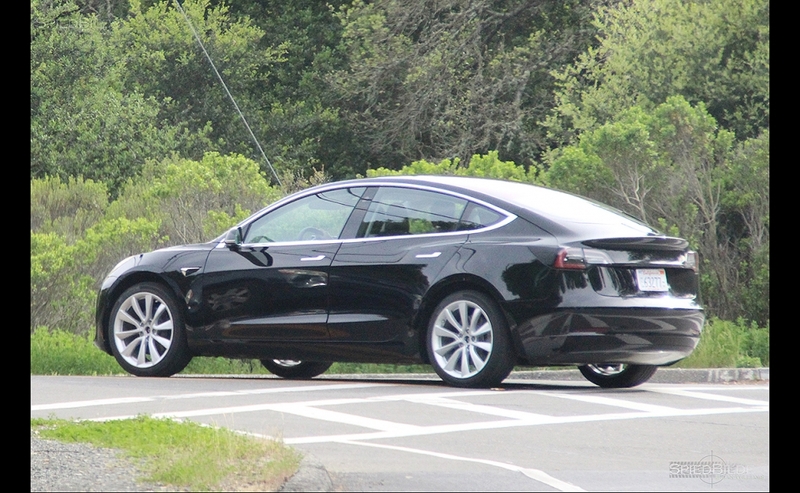 Two weeks after Tesla CEO Elon Musk teased the first 6-second video of a newly minted, almost-final version of the $35,000 car, prototypes have begun to appear in the wild. 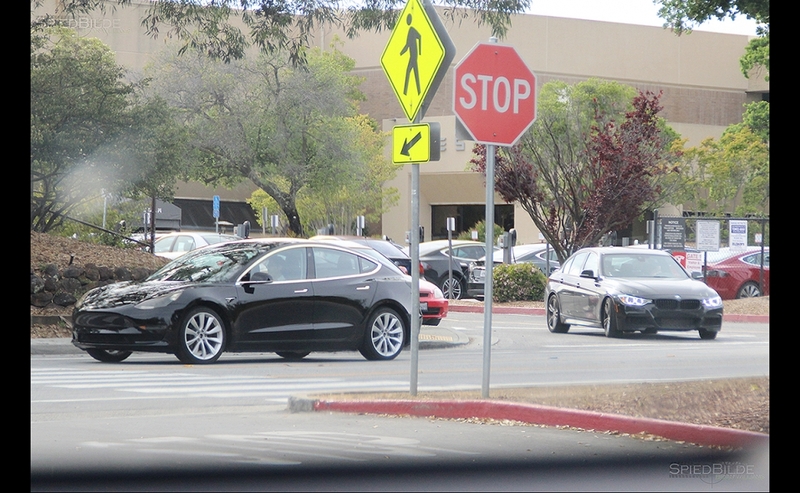 The following images of two Model 3s were taken outside the company's headquarters in Palo Alto, Calif., on Wednesday. With about 400,000 reservations at $1,000 a piece, this is arguably the most anticipated new car in automotive history -- one that's already changing the trajectory of electric-vehicle development. 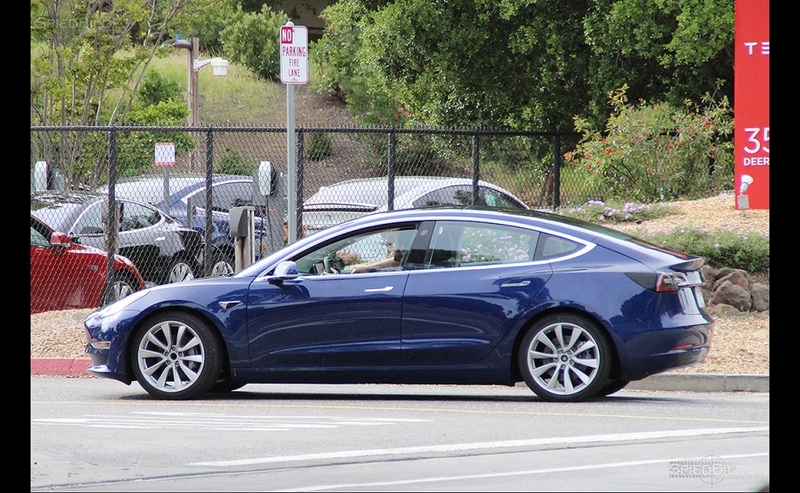 The first prototype ever seen this week was Tesla's Deep Metallic Blue. 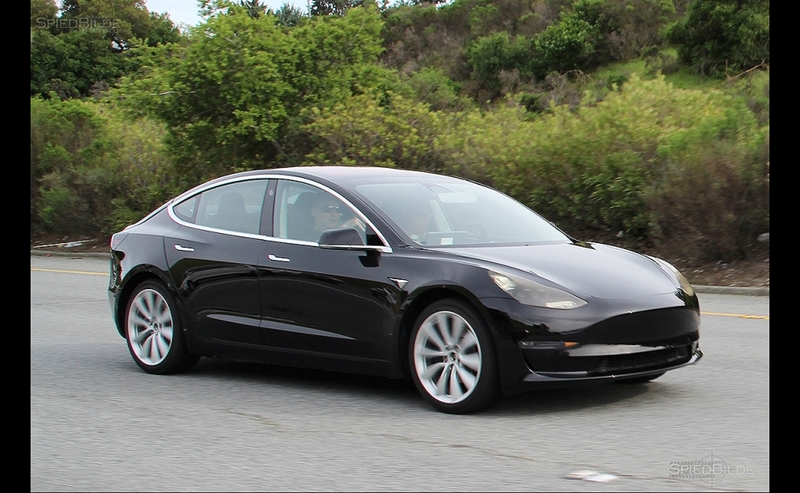 Tesla's production ramp-up for the Model 3 is extremely aggressive. 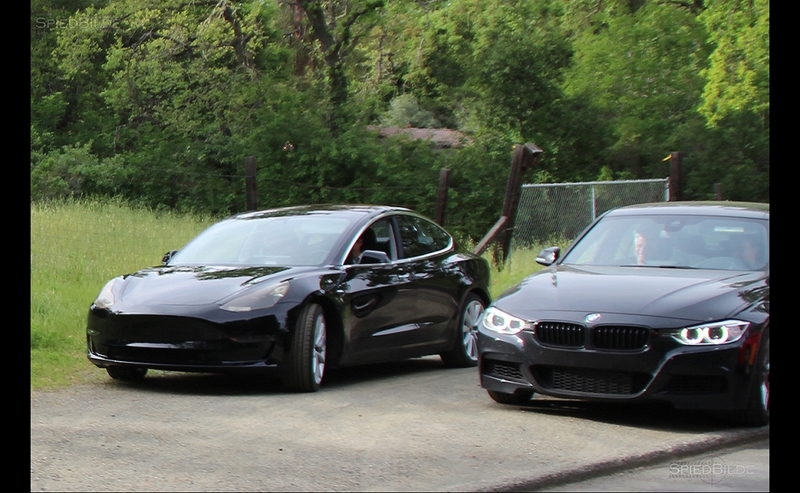 In order for Musk to hit all of his production targets, the company would need to build about 430,000 Model 3s by the end of next year. In order to do that, he would need to massively outsell the car's biggest competitor, the BMW 3 Series. 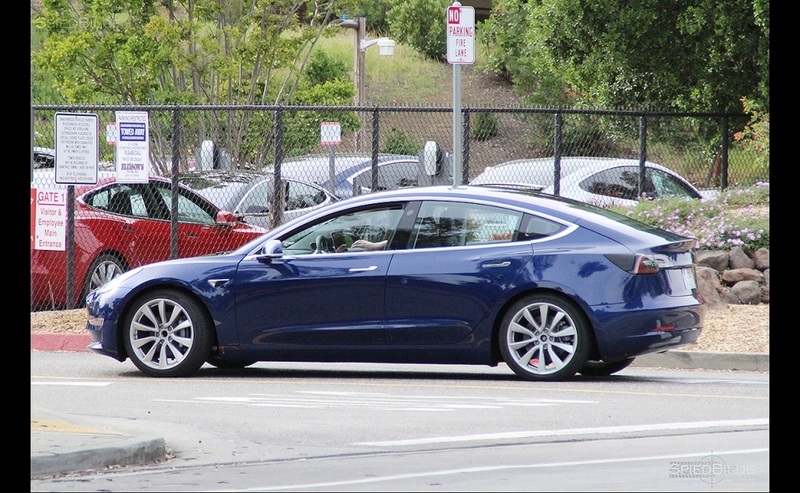 The latest images mark the second time Tesla has been spotted testing the Model 3 alongside a BMW, suggesting engineers may be benchmarking or tuning the car to match the competition. 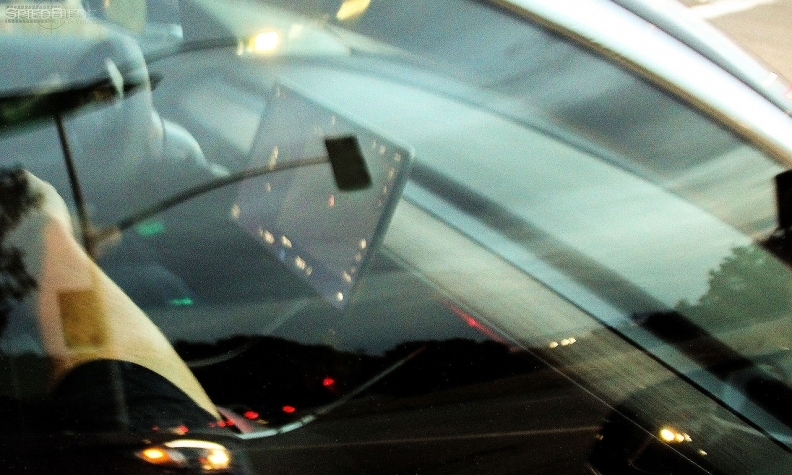 One of the biggest mysteries remaining for the Model 3 is how the interior will look and feel, and how far will Tesla go with autonomous-driving features at launch. 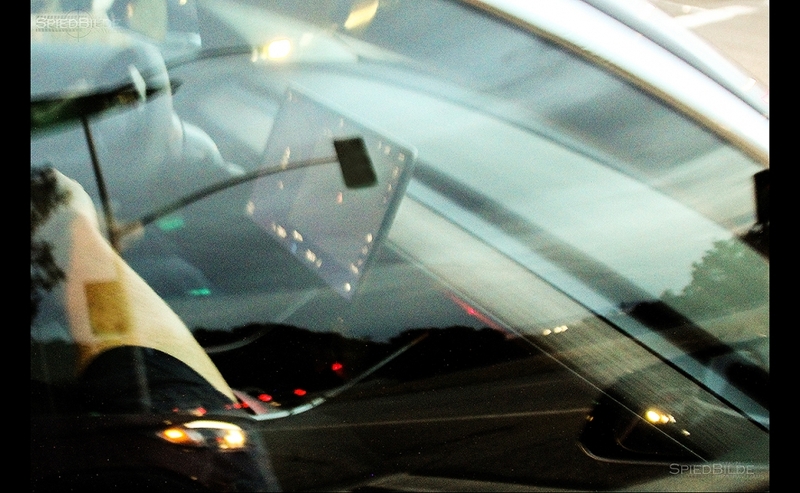 The automaker has already begun selling a $3,000 "Full Self-Driving Capability" option for other models, and Musk disclosed on Twitter in January that the features will begin to appear around the time of the Model 3 launch. 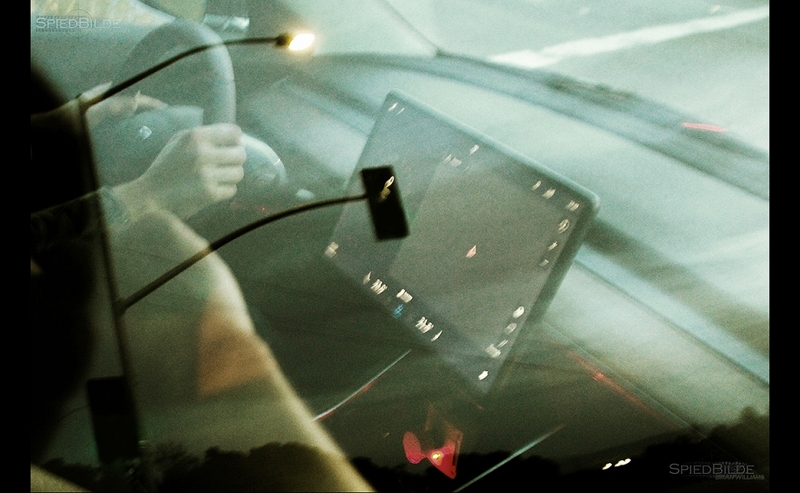 A grainy photo of the interior of the "release candidate" reveals a mysterious red button near the passenger side of the 15-inch touchscreen display. Does this activate plaid mode? An eject button? So many possibilities. 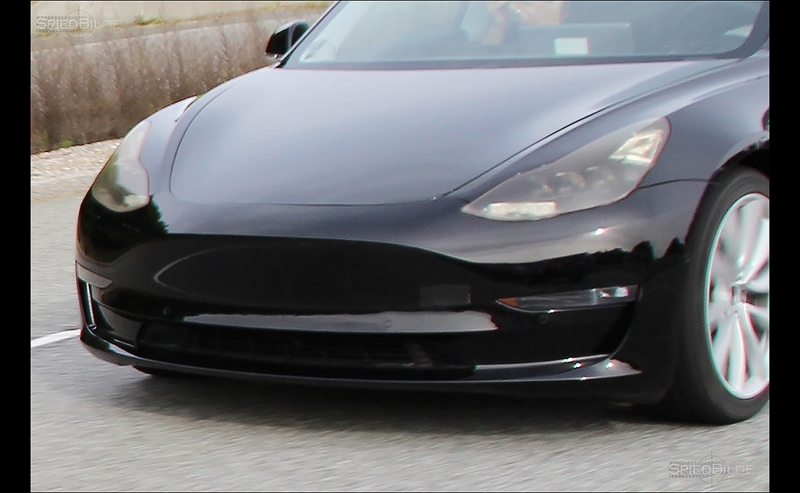 Love it or hate it, the stiff-lipped front end of the Model 3 is one of its most distinctive features. The car doesn't have a grill, because unlike a gasoline-powered car, it doesn't need one. After the initial unveiling of the Model 3, Musk said there was still "some tweaking underway" for the nose. "Edge and contour refinement are ongoing," he said. Now we see the results. The edge seems a bit smoother, and the countours of the mouth seem slightly lower and stretched to the sides. It's less stark, and suggests a shadow of a Mustang grill combined with the hood swoop of a Porsche 911. 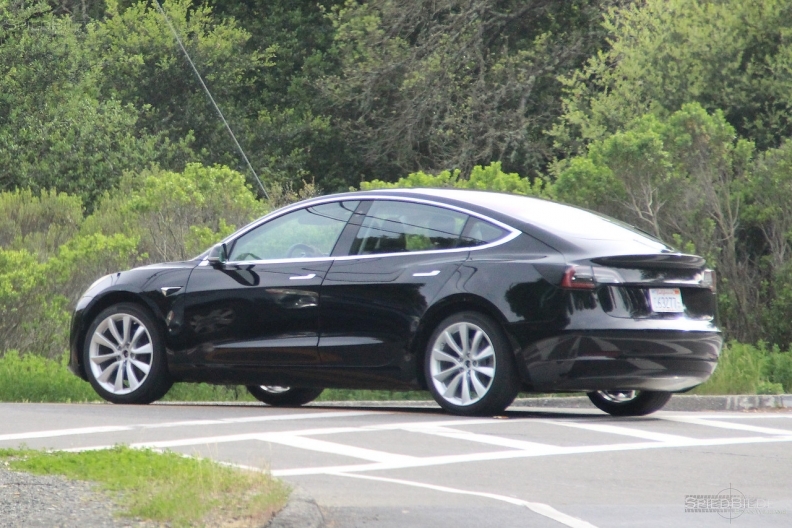 Last year, Musk also said the company was working on expanding the opening of the rear trunk from what was initially unveiled (the car also has a front trunk where a gasoline engine would normally go). If any changes were made to the exterior opening, they appear to be very subtle. 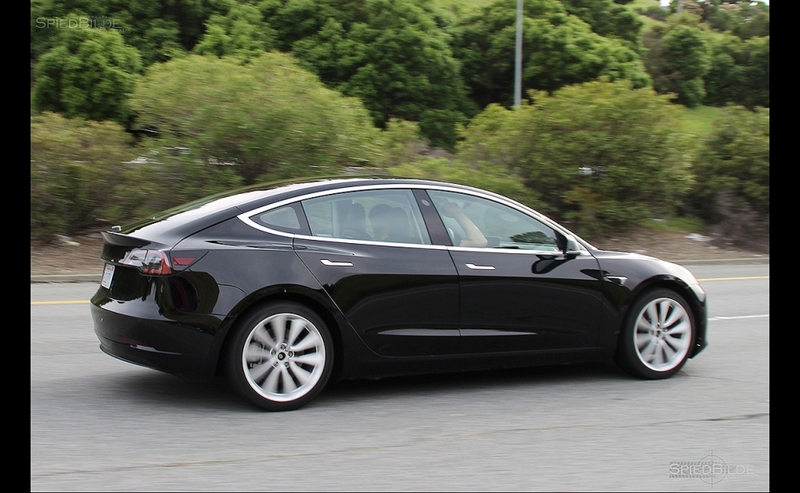 Tesla plans to deliver the first Model 3s in July. 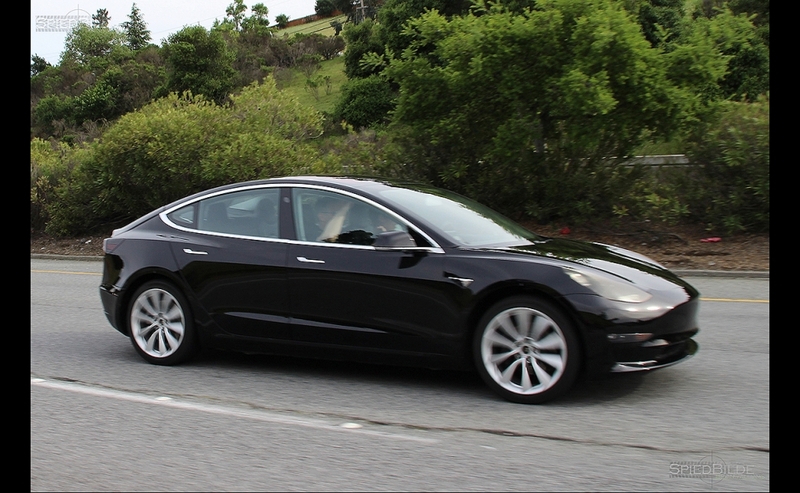 The first several thousand will go to employees holding reservations, and then the rollout will start in California and move eastward as production picks up.